Wouldn’t it be amazing if you could colour your hair without causing breakage or damage? Wouldn’t you love to keep that freshly coloured feel and shine for that little bit longer? Well….thanks to new wonder product ‘olaplex’, we are now able to make that dream come true! 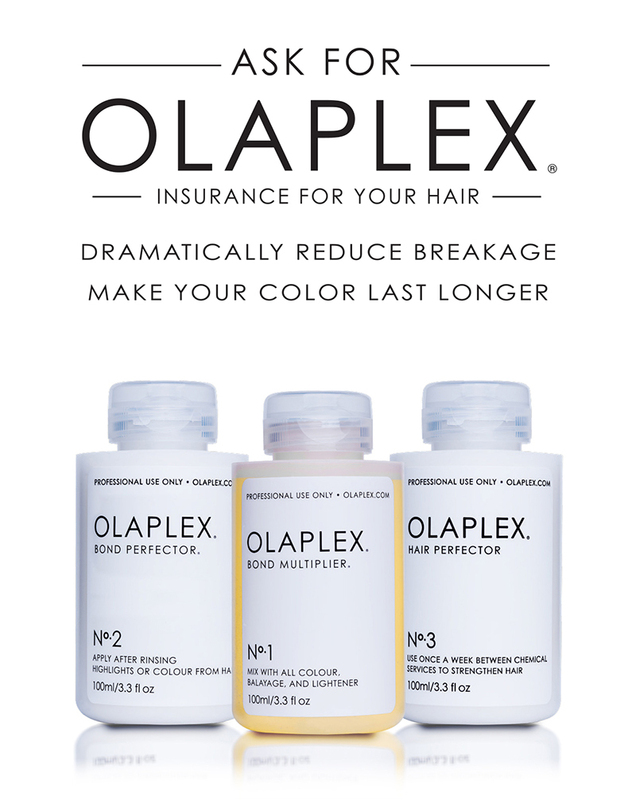 Created in the U.S by scientists Dr Craig Hawker and Dr Eric Pressly, olaplex contains a single active ingredient designed to reconnect the disulfi de sulphur bonds, broken by the process of hair colouring and lightening. This revolutionary product transforms the texture of hair and prevents breakage while repairing damage at the same time. Olaplex is an additional service that can be added to your colour or highlights to dramatically reduce breakage and make your colour last longer. Olaplex is free of silicones, oils, parabens and aldehydes. Olaplex has now arrived in the UK and available at top salons by invitation only. If you are looking to improve your hair strength and shine then please ask for Olaplex when booking your appointment.